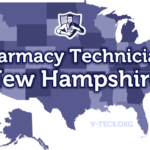 The next step in becoming a pharmacy technician in the state of Maryland requires that you look up the regulations and requirements, we have found them and put them all together for you. 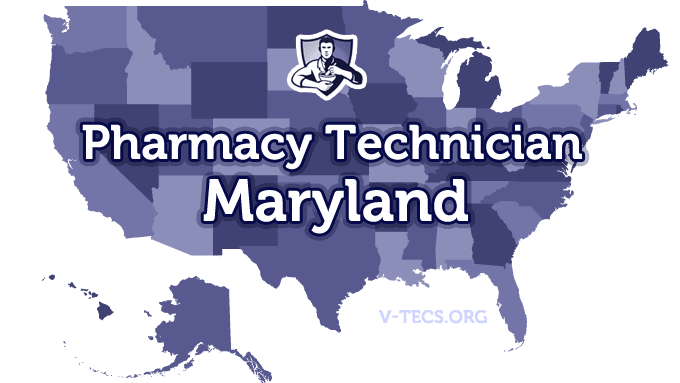 Are Pharmacy Technicians Regulated In Maryland? Does Maryland Require Certification To Practice As A Pharmacy Technician? No, but if you are not certified you are going to have to go through a 160 hours of training, which has to be in a board approved program. Which Of the Certification Exams Are Approved By Maryland? The ICPT (ExCPT) and the PTCB (PTCE). Those pharmacy students that have proof that they are enrolled in a board approved training program can hold off on registration until they graduate from the program, everyone else has to register immediately. The Maryland Pharmacists Association, who can be located at www.marylandpharmacist.org. Obtain your high school diploma, or have the equivalent, or you can be a student still in high school as long as you are within good standing. Then comes the written application that you will have to send in to the Maryland State Board of Pharmacy, which is basically your request for registration as a pharmacy technician. The application can be found at http://dhmh.maryland.gov/pharmacy/SitePages/license.aspx. There is a nonrefundable application fee of $45 that must be included. A criminal background check is also required, and it will cost you $38, which is paid right to the Criminal Justice Information Center. Those that are certified need to show proof of certification in their application. Those that are not certified will need to provide proof that they have completed a training program that is board approved successfully and passed the exam that is board approved as well. Yes there will be ten hours that you will have to complete within your first two years in the pharmacy, and then 20 hours after, both of which need to be board approved. The fee for renewal is $45. The licenses held by pharmacy technicians expire on the last day of their birth month, 1 year after their first registration, and after that may be renewed for a period not to last any longer than 2 years. Let the board know of the changes. Pharmacy technicians in the state of Maryland are not allowed to administer flu shots. Technicians in the pharmacy are only allowed to complete those tasks that don’t require professional judgment. The licensed pharmacist in charge of the pharmacy technicians is responsible for their actions as well as their own.